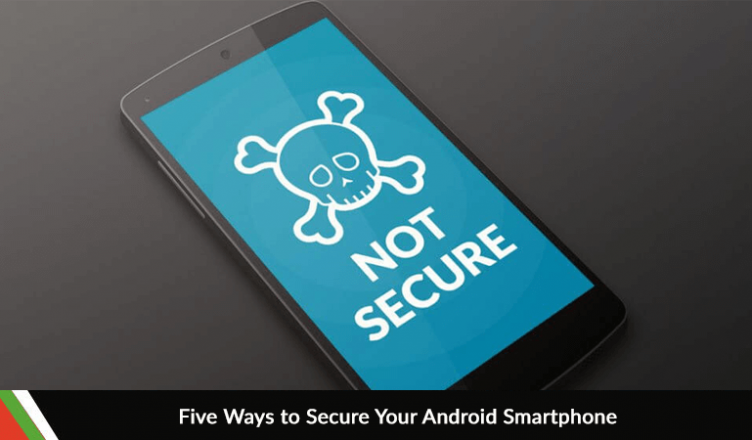 Security is the most important aspect that everyone needs to be careful about when using a smartphone. Smartphones have taken over our lives and we look forward to them for almost every task at hand. Besides storing most of our personal information like photos and contacts, we use them for making online payments and purchasing everything from food to even cars. Typically, the first layer of security on a smartphone is its lock screen. You can secure your device by using fingerprint and facial recognition locking methods but all these are still vulnerable especially if a smart hacker is looking to intrude your device. One way to fight this is by encrypting your phone. By encryption here it means that every time you turn your phone on, you will need a password to decrypt your device. Encrypted phones are far more secure than those which are not. The only way to get into an encrypted phone is with the encryption key. Encryption option is available in the settings of your smartphone. In case your phone is stolen, it will erase the data to prevent any unwanted access. VPN stands for Virtual Private Network and they are highly reliable when looking for an alternate security solution for your phone. VPNs operate by routing your device through different servers across the globe. This makes it difficult for the malicious programs to access your IP address and retrieve your data. While using a VPN adds another layer of security to your phone, it is still not the helpful in the long run as IP addresses can be located using different methods. These networks are beneficial if you want to go for live streaming. It is expected that VPNs will soon come up with extended versions to protect your IP address. A lot is being written on the app permissions and their role in marketing and disseminating user data. App permission is another area that can leak your private information to the apps especially to those that are on the market with a malicious agenda. Whenever you install an app it asks for a permission to access different sections of your phone such as contacts, camera, and microphone. You must be careful before granting any such permission to the app especially if they don’t need it. Many of the third-party apps are on the Play Store to track and store personal information. Most of them are games or recreational apps. But they can collect your confidential information by asking for access. Luckily, Android phones have the option to review app permissions. For this, you need to go to your Android phone settings and check which apps have access to which areas. If you feel susceptible about an app then you can change the permissions for the particular app to deny access to your information. Updates to the operating system are beneficial for the health of your phone. Updates usually include security-related improvements in the phone. Google releases security updates every month now. Not all of the Android phones get these updates but they do whenever their manufacturer makes it available for the user. Downloading and updating your phone makes it more secure so you must update it whenever an update is available. There is another feature rolled out by the Google, Google Play Protect, which is the latest version of Google Play Store. It gives most recent versions of Google apps and services. Besides, there is an option of harmful app detection in the Android phones that you can enable in the settings. Even when you feel that everything is secure you should still not get complacent. There is always a need to better your security arrangements. Most of us save our passwords on our phones that can be accessed in case of a data breach. So what if a hacker gets access to your passwords? You are doomed! But this is where two-step verification jumps in to protect your privacy. With this type of security verification, even if a person has your password, he won’t be able to proceed without that second step which is a verification code sent to your registered mobile number. Without that verification code, nobody can access your account. So if all else fails and your defense lines are compromised, two-step verification can help to keep your information secure. Most of the financial services, social media, and even some apps use this method for enhanced security. You can also enable it from the app settings. The code sent to your phone is effective for some time only and usually expire after a certain duration. This gives you a buffer time to act quickly to secure your account. IS YOUR KID BECOMING ADDICTED TO TECHNOLOGY?